This book has been specially designed to give practical help to those who have to deal with diagnosis and subsequent management of patients with memory dicturbance resulting from specific types of cerebral pathology. The author achieves this by organising his book on the basis of clinical aetiology. While anatomical and psychological perspectives are introduced, the emphasis is on approaches which will help clinicians in the management of patients with specific neurological diseases. 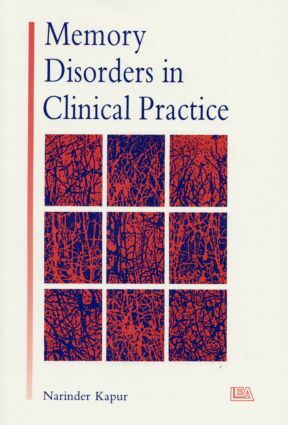 For example, the essential topic of differential diagnosis is given prominence throughout: the principles of diagnositc assessment are discussed in a separate chapter, and specific diagnostic features are outlined in each of the chapters dealing with individual cerebral pathologies. The author draws on his own extensive experience as a practising clinical neuropsychologist to describe and evaluate the range of existing memory test procedures, and suggest additional procedures as appropriate. Full references are also given for those wishing to develop their own assessment of therapeutic procedures. Mainly intended for practising neurologists and clinical neuropsychologists, anyone whose work brings them into contact with patients suffering from memory disturbance will find this book invaluable.